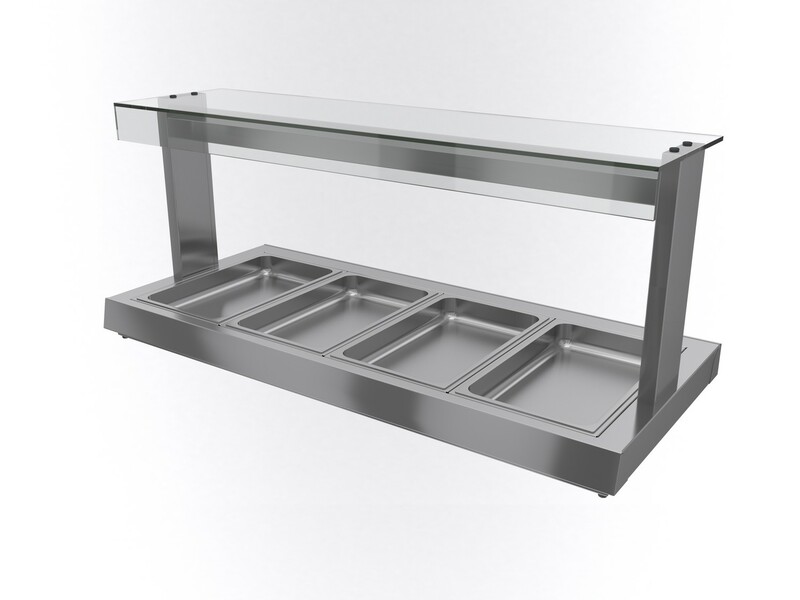 • The heated display bain marie offers unparalleled flexibility of use. 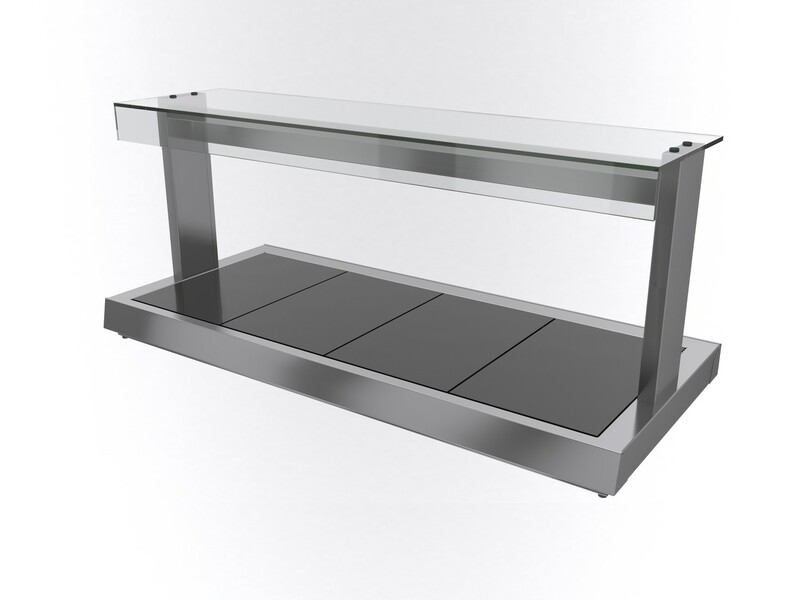 • The heated display ceramic glass hotplate offers unparalleled flexibility of use. • Heated countertop food display for self help service. • Illumination and heating to all display levels. 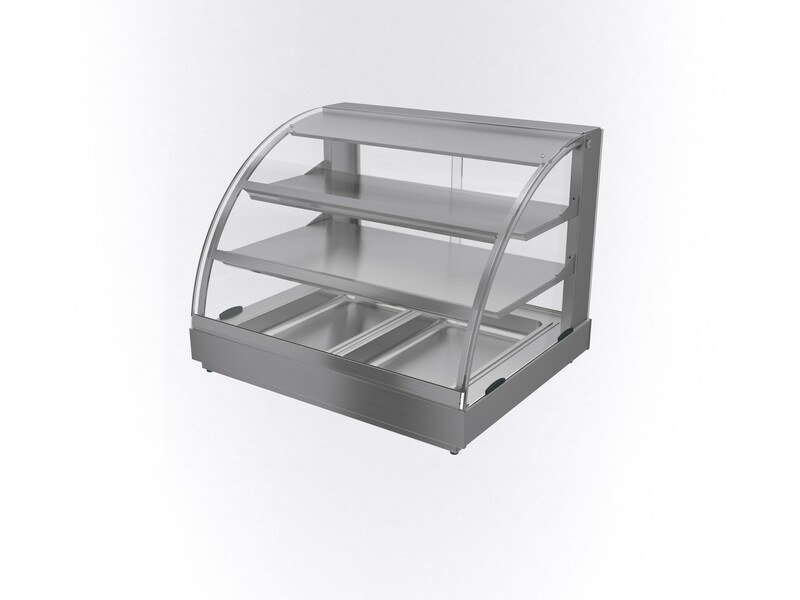 • Produce displayed on two removable stainless steel shelves. • Sliding rear glass doors to retain heat. • Easily dismantled for cleaning. 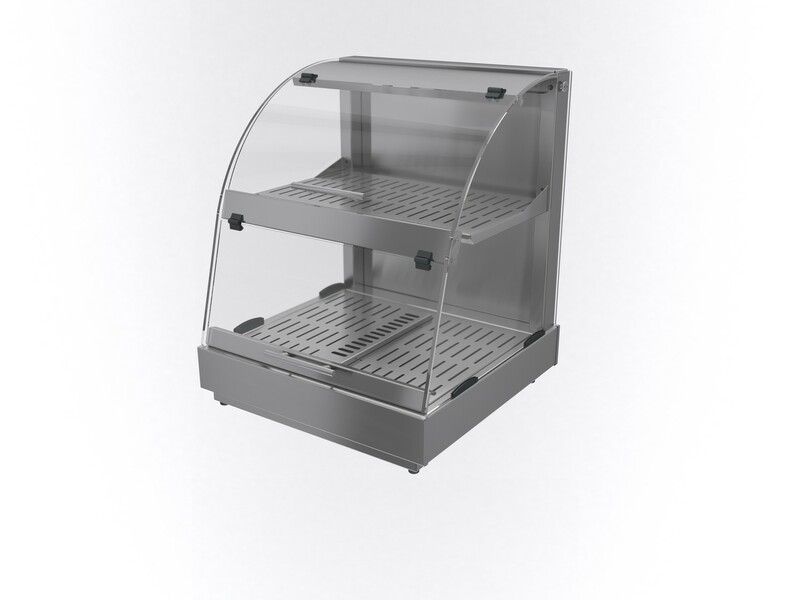 • Produce displayed in two or three 1/1 containers, available as optional extra. 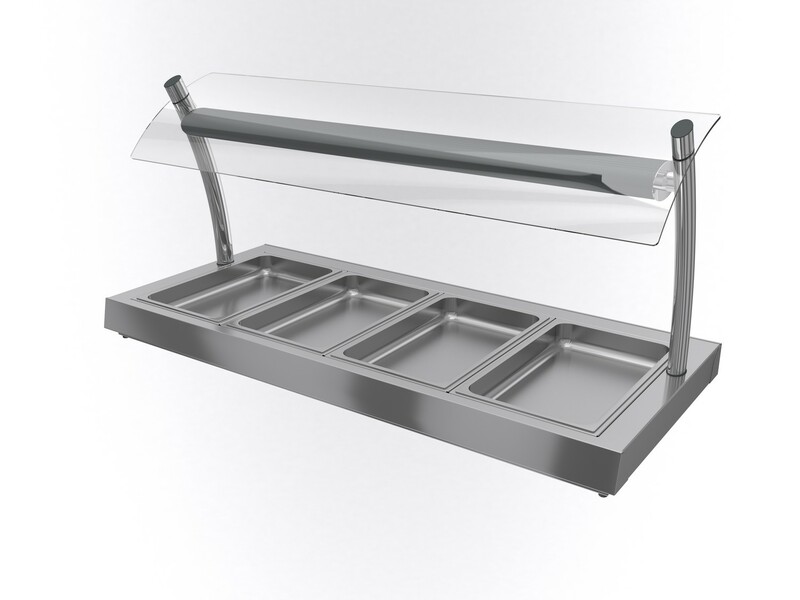 • Fully enclosed heated countertop food display for assisted service. • Perfect for presenting scrambled eggs and bacon. 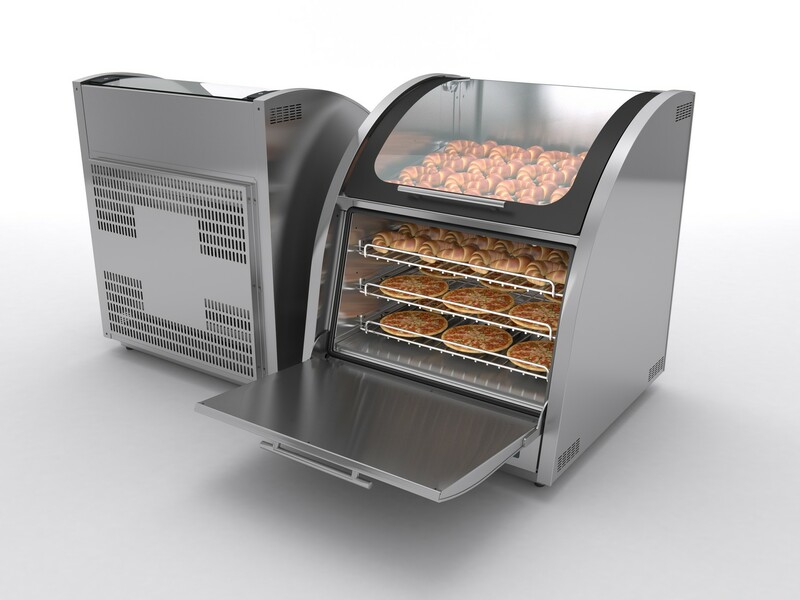 • Maintains pre-heated, cooked food at a regulated temperature. • Factory set controls maintain food between 65°c and 70°c. • Fluorescent lights to both levels. • Includes water container for humidification. • Unit supplied with 13amp plug and 1.5m supply lead. • One shelf and base each accepting 2 1/2 gn containers 65mm deep. • Gastronorm containers sold separately. • Perfect for maintaining pre-warmed pastries, croissants, etc. • Heated perforated base and ambient perforated shelf. 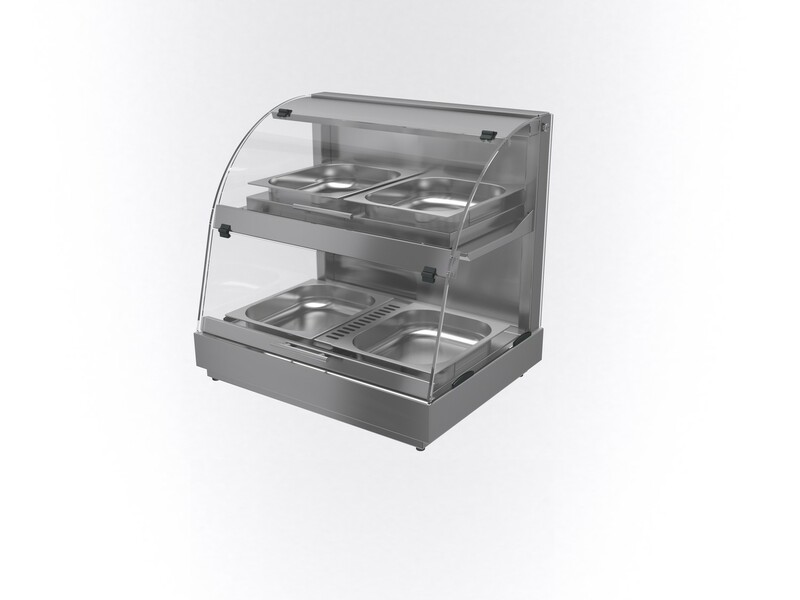 • Front loading unit designed to bake and display jacket potatoes. • Unit can also be used for baking and displaying pizzas, baguettes etc. • Fan assisted convection cooking. • Audible timer for up to 120 minutes. • 240° Maximum temperature with neon indicator. • Oven capacity will see 60 8oz (226g) jacket potatoes cooked in under an hour. • 3 Removable wire shelves. 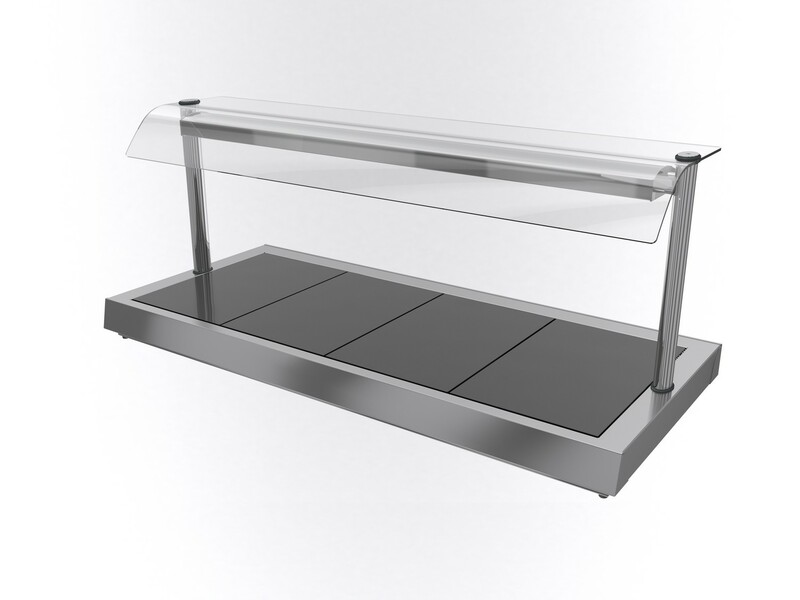 • Large heated top display section for maximum visibility and a self supporting top display glass door allowing maximum access to cooked products. 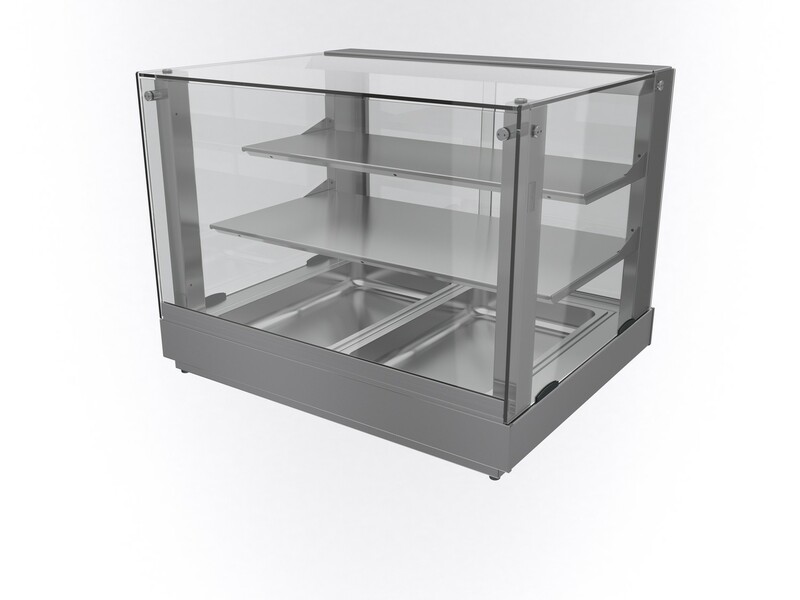 • Oven capacity (based on 226/283g potatoes): Main display 60/50 potatoes, display area 50/40 potatoes. 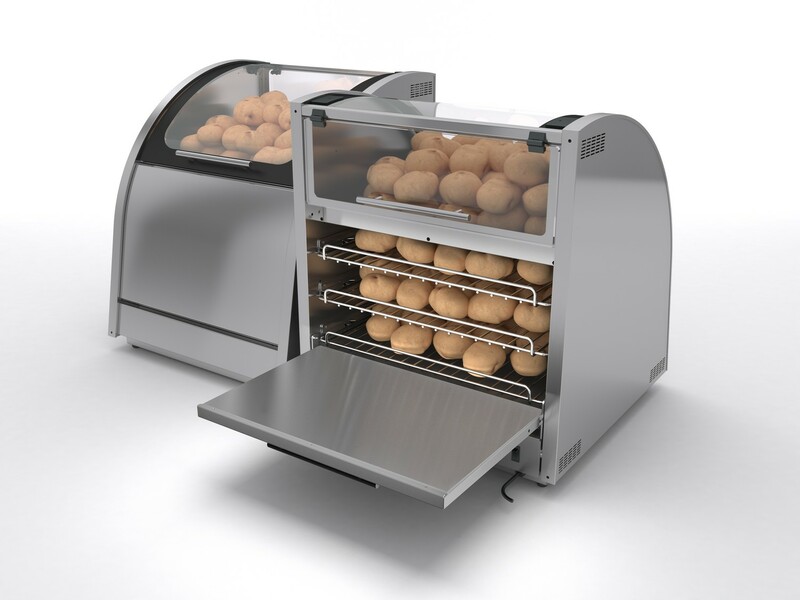 • Rear loading unit designed to bake and display jacket potatoes. • Personalised branding available as an optional extra.